A picturesque historic site situated in Penetanguishene Bay, which is connected to Georgian Bay of Lake Huron, Ontario, Discovery Harbour was once a British naval and military base. 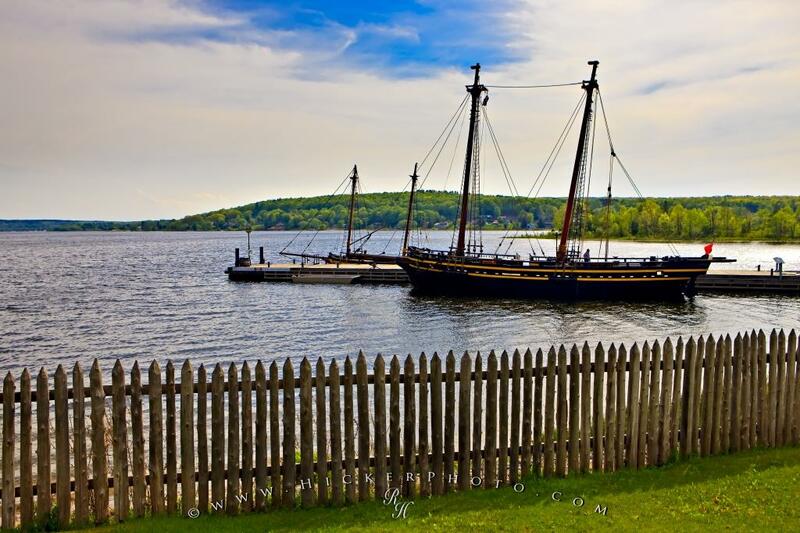 Replicas of the historic warship HMS Tecumseth and the supply ship HMS Bee are stationed at Discovery Harbour in Penetanguishene Bay on the shores of Lake Huron, Ontario. Those a popular tourist destination today, during the early to mid 1800's Discovery Harbour was home to over 70 people and was a busy port for soldiers, sailors, shipwrights, and officers. 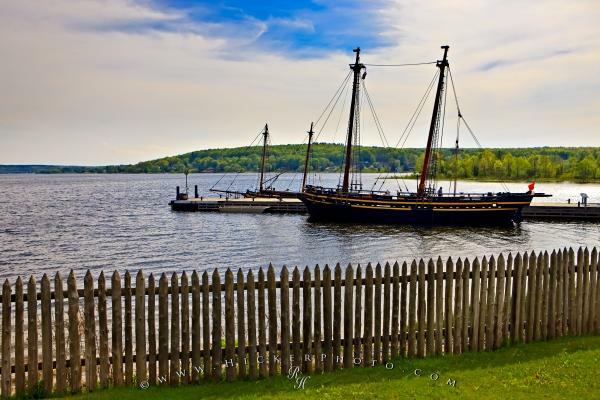 The HMS Tecumseth and HMS Bee (the the background) in Penetanguishene Bay at Discovery Harbour, Midland, Ontario, Canada. Photo of the HMS Tecumseth and HMS Bee in Discovery Harbour on the shores of Penetanguishene Bay.